Anushka Sharma is awkward with fame, and hasn't completely embraced her stardom. The actress-producer says she still lives in denial, and yearns to lead a normal life. From taking risks early on in her career to getting into the filmmaking business as a producer, Anushka has come a long way since her modelling days. She is one of Indian film industry's highest paid actresses, and also got featured in the Forbes 30 Under 30 Asia 2018 list. "I have never answered this question. Not even thought about it. I have always been very awkward with fame. I am not an actor who has embraced fame completely," Anushka told IANS in a sit-down interview here. "There are actors who embrace fame... Like Salman Khan is a star, and he embraces his fame. Like Varun Dhawan when he is out there, he embraces his stardom. If he will go out to the crowd, he will be comfortable. If I will go to a crowd, I will be uncomfortable," added the actress, who is confident about her forthcoming film Sui Dhaaga - Made in India - a Yash Raj Films production. Anushka asserts that she is not "someone who embraces her stardom". "I still stay in denial about it, and reluctant as well." "I want to do normal things. I want to go to a grocery store and all. I want to be able to do simple things and normal things." At this point of the conversation, Anushka, who is married to ace cricketer Virat Kohli, was quick to point out that fame is a "double-edged sword". "I get real satisfaction when my films are watched. I want more people to go and watch it. It is a double-edged sword like that. When people support me, like I have seen how in my worst times they (my fans) have stood by me... I want to give them my everything." She had a dream debut in Bollywood opposite superstar Shah Rukh Khan in Rab Ne Bana Di Jodi, but her ride in showbiz has been bumpy with several highs and lows. Rab Ne Bana Di Jodi may have given her a good launchpad, but her sail into showbiz was not smooth. She faced failure with films like Badmaash Company, Patiala House, Bombay Velvet, Matru Ki Bijlee Ka Mandola and Jab Harry Met Sejal. But on the other hand, she earned applause for films like Jab Tak Hai Jaan, PK, NH10, Dil Dhadakne Do, Sultan and Sanju. As a producer, Anushka has made films like NH10, Phillauri and Pari under her banner Clean Slate Films. She starred in all three films herself. "When I do films which are a bit edgy and a little bit like off centre, I do get thoughts like 'Will people understand it'. Like NH10... For an A-list actor to do a gory like film like that, it was a little scary. Even Pari, (you do think if) it will be acceptable." But that doesn't stop her from trusting her conviction. "I think somewhere you go with the conviction which you had in your mind when you heard it for the first time and that is when you keep pushing it through." 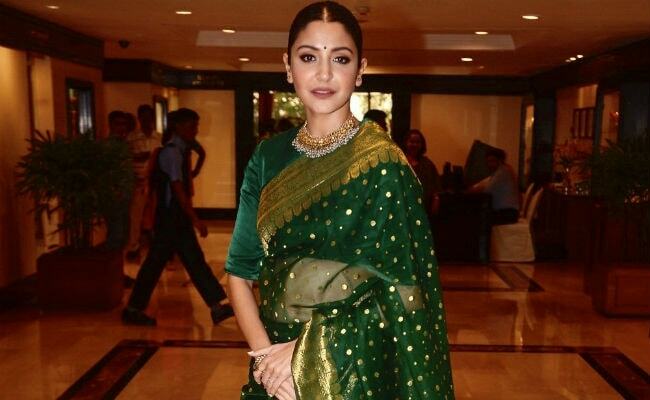 On the big screen, Anushka will next be seen as Mamta in Sui Dhaaga - Made In India, which features Varun Dhawan as her life and business partner Mauji. Helmed by Sharat Katariya, the film will open on September 28. "It is a very commercial film and I think it is a right kind of commerce - you have a proper concept backed by content said in a way which is completely commercial."